In early June 2017, my home was severely damaged in a fire. 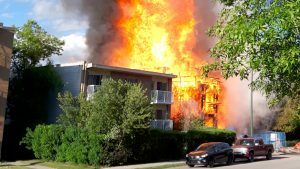 A low-rise apartment complex under construction caught on fire (from an unknown cause) and the flames spread into neighbouring complexes. Just how rare are house fires? Local news seems to cover a house fire on a regular basis. Despite all the advancements in fireproof housing materials and fire awareness and prevention education, are house fires regularly common? There were 1.39 million households in Alberta in 2011. 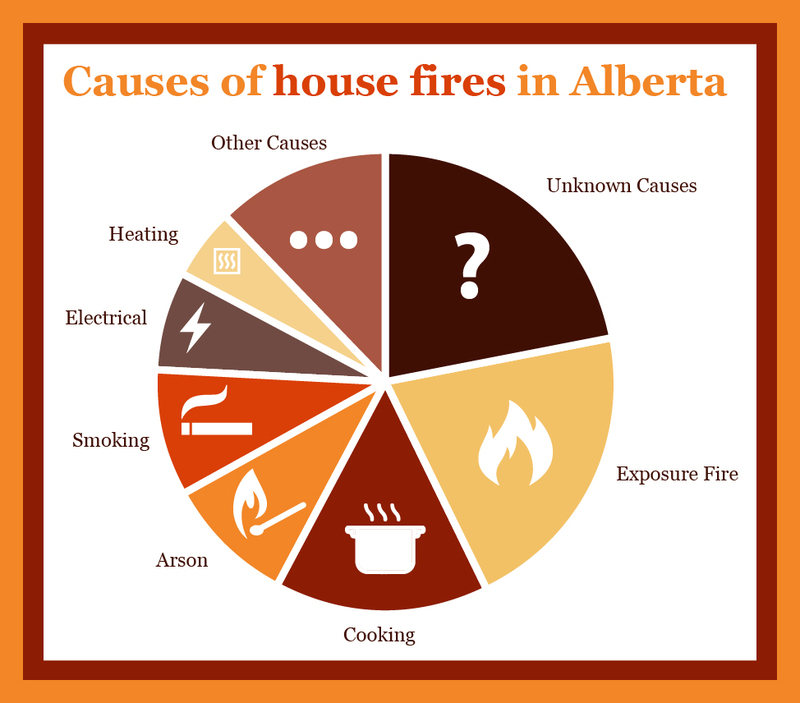 Between 2007 and 2016, there were 25,340 house fires in Alberta. The annual average number of fires in residential units is 2,534, making the chance a single unit will have a house fire 0.2%. 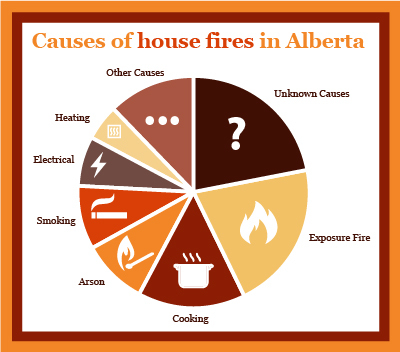 Chance of an Albertan household experiencing a house fire this year: 0.2%. That’s it – 0.2%. The odds of experiencing a house fire this year is 7 times more likely than getting struck by lightning over your entire lifetime. And how will these fires start? Most fires (22%) have an unknown cause and the second leading cause is exposure to another building or object already on fire (21%). Then comes cooking (15%), arson (9%) and smoking (9%).